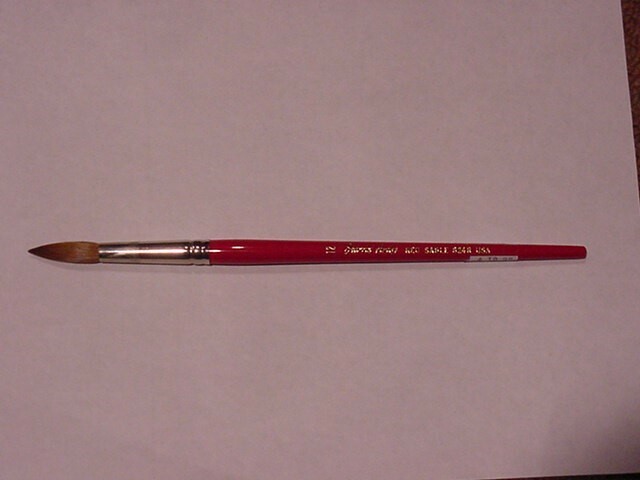 Red Sable art brushes from F. and M. Brush Co. Quality and price. Many people have said that these art brushes should definitely be priced much higher because of the excellent properties of the hairs. These sable brushes complete any artists collection and can be ordered in the popular sizes. Buy one and you'll definitely want more in different sizes. These brushes can be used with oil or watercolor paints, therefore they can be called oil painting brushes or watercolor painting brushes. Short handle.